1. It’s a delegates game: You may hear about candidates winning, losing or tying in states throughout the primaries and caucuses during election season. However, rather than the number of states won or even the popular vote, it is the number of delegates won in total that determines a candidate's success. Some states do have a winner-takes-all delegate system, but most distribute delegates proportionally to the number of votes or districts won. When you vote in a primary, you do not just vote for a candidate, you also vote for delegates who are aligned with a candidate. Delegates go to the party’s convention in the summer and vote for the candidate to become that party’s nominee. 2. What’s a super delegate? : Super delegates are typically people who have held or hold important positions in the party (governors, past presidents, state party leaders, etc.) and therefore get to pick their vote at the convention without regard to who received the most delegates or popular vote. Regardless of super delegate count before the convention, however, super delegates almost always vote for the candidate who received the most delegates from votes and therefore almost never mean much for the candidates' success before the convention. 3. 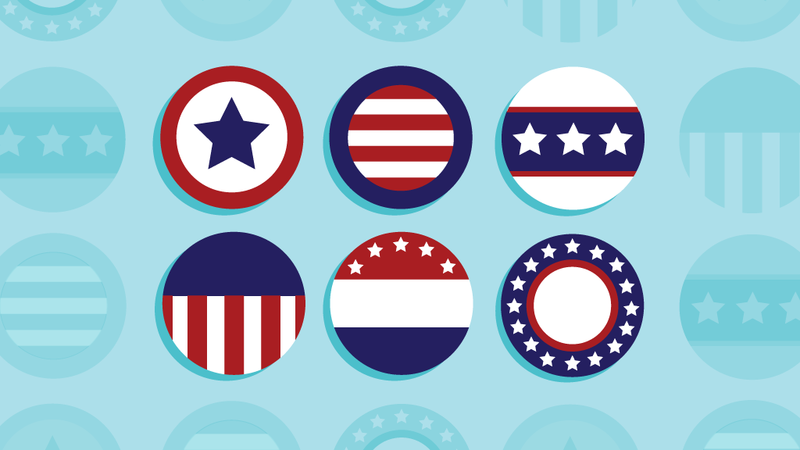 Caucuses vs. Primaries: Primaries are the types of elections you would probably think of. Each state has a certain day where people report to their local polling place based on where they registered to vote. Voting happens all day privately in voting booths. At the end of the day, the votes are counted and delegates are distributed proportionally. A caucus, on the other hand, requires everyone to be there at the same time and in one large gathering. They all discuss the candidates, people try to convince the voters on who to vote for and a vote is conducted usually with a show of hands. Primaries are much more common and only a few states use caucuses, but they still are used. 4. The general election: The general election happens on the Tuesday following the first Monday in November. States hold elections where people vote for which candidate they want to become president just as in the primaries. The candidate who wins the majority (50% +1) of all of the state’s votes gets all of the votes in the electoral college (two states can actually split their votes: Maine and Nebraska). The more populous the state, the more votes it gives. 5. What is the Electoral College? : Essentially, when voting in the general election, people do not vote for the President directly. Rather, they vote for representatives that will represent their state and vote for whichever candidate receives the popular vote. However, even with some states having laws forcing them to, much of the time these members of the electoral college are not legally required to vote for who they are meant to vote for; although it is quite rare for them to vote against the popular vote. 6. How to vote: Most people vote at the polling location assigned to them based on where they are registered to vote (which, for NY residents, can be found here). Similar voter look-up tools exist for most other states as well. People unable to attend their polling place on election day (such as students away at college) can fill out an absentee ballot application and have their voting materials sent to them so that they can vote through mail. The N.Y.S. absentee ballot application can be found here.